T hroughout your professional career, time is often spent focusing on helping others whether it be clients, supervisors, or fellow colleagues and this is time-consuming throughout the years. This is the perfect time to stop and reflect on where you are professionally and what you can do to brush up on your professional skills. The biggest question every professional asks is what can be done to ensure that they remain up to date with technology and innovations in their field. The answer to this is certifications, licensing, recertifying licensures, or even endorsements that advance and promote professionals skills within the field and areas in which you are employed or hope to pursue employment in. A professional certification can help improve your work skills, knowledge, and competencies in the workplace to have an improved overall effect that is noticeable in your output. There will also be a difference in your understanding of policies and procedures which may enable you to be more proficient and conscious of how decisions affect the business as a whole. These new skills will help you attain and retain more clients due to improved skills and competencies in the profession you are in. When deciding if credentialing or licenses are the right decision for your career, researching how they will help your specific situation and focus in your career is a wise decision. 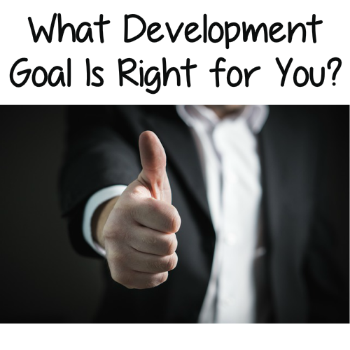 You should consider your company’s overall goals and how your wants and needs match those goals. If your goals are compatible your employer may offer aid in attaining those licenses since there will be an increase in skill and productivity. The determination of whether the license or certification is right for you based on time, effort, and monetary expense needed before pursuing it fully should be considered fully. If it would help you but you are not able to dedicate the time and monetary amounts needed then it would not help professionally in the end but instead would cause harm and distress. This could cause distraction and decreased attention while in the workplace which could cause negative results and ramifications. Once you have decided upon a certification or licensure to further your professional development goals setting up your time management process to ensure completion is the next step of the process. This will ensure that you complete the process in a timely manner and are able to begin seeing and using the benefits that come from advancing and developing your career further. Due to seeking further education and career development you may find more professional satisfaction in the workplace or other such positive benefits.